DTC C1379 is cleared when the crawl control switch sends a crawl control operation signal or when test mode ends. (f) Check the Data List for proper functioning of the crawl control switch. 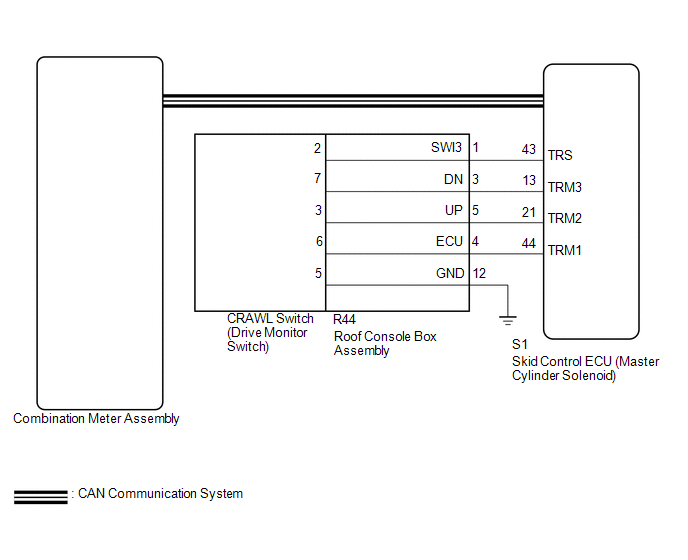 The Techstream displays according to crawl control switch operation. (a) Perform the crawl control switch check in the Test Mode Procedure (See page ). Test mode DTC C1379 is cleared. (a) Remove the crawl control switch (drive monitor switch) (See page ). (b) Inspect the crawl control switch (drive monitor switch) (See page ).